Home > Learning Center > Home Improvement > Why is My House So Dusty? With your active life and a full household, your home certainly has that "lived-in" feel. But that film of dust can make you feel like you're in a seldom-used basement. Don't just assume your home is dirty, as this dust may not be the product of idle accumulation. Instead, it could be a sign your heating, ventilation, and air conditioning (HVAC) system is not trapping dust properly. Before focusing your time — and your budget — on an HVAC inspection and repair, you can rule out a few issues with some simple checks. 1) Clean or replace the filter in your air conditioner and/or furnace. 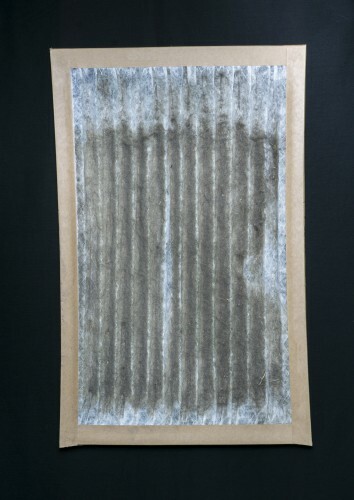 These filters trap dust and other material from entering your home and should be replaced/cleaned once a month. The dirtier they become, the more ineffective they are. Once you do clean or replace your filter, establish a monthly schedule for this task. We recommend either the first or last day of the month. 2) Locate and seal cracks around your windows. This creates a tighter fit that reduces the influx of dust into your home. A simple, cost-effective caulk can help you accomplish this task. 3) Reduce incoming dirt and debris. Tackle projects in the yard or garage before they become extra dirty. Set a family mandate that all shoes must be taken off the moment you enter the home, as studies that as much as 85 percent of the dirt tracked into your home comes from the outside. So, you've sealed the cracks, quarantined the shoes, and replaced or cleaned the filter, but you still have a dust problem in your home? There is likely a problem with your HVAC system. While you may not be an HVAC specialist yourself, you can still determine if a problem exists. By exploring these potential issues, you can better understand the situation before you contact the experts. Before doing anything with your HVAC unit, turn the power off. HVAC systems commonly run on electricity — usually around 120 volts — and the furnace may burn gas. Either of these fuel sources possess the potential for a dangerous accident, so cut the power before inspecting them. Dust accumulation in your home is a product of airflow, either because too much dirty, dust-filled air is floating around your home or because not enough air is spreading through the home, allowing dust to settle. To increase airflow in your home, check the thermostat to see that the fan is on, then make sure all registers are open. Your fan may have two settings: "On" and "Auto." "Auto" means the fan will come on only as determined by the air conditioner or furnace. Set yours to "On" to be sure the fan is running — once the power is turned back on — and that your problem is not one of communication between the fan and the units themselves. Next, inspect the registers. If the registers of your HVAC system fail to deliver the proper amount of air, a problem may exist with the blower motor. Your owner's manual will help you locate the motor, and once you find it, inspect the belt thoroughly for any breaks or cracks. Finally, check the ducts themselves — as much of the duct work as you can see. Turn your HVAC system back on and feel along the ducts for gaps and openings where air escapes. The air you feel has entered your home without going through the filter, so it's full of dust. These areas can also sometimes be identified by black marks (dust!) on the wall. When you find such an area, seal the space with mastic-type sealant solution. Never use standard vinyl duct tape (despite what the name suggests), as it will dry out quickly. Completing these tests will give you a better understanding of the cause of excess dust in your home. More importantly, if you need to contact an HVAC service professional from One Hour Air Conditioning and Heating, you will know how to describe the situation and understand what the technician tells you about your home. And your home will be cleaner and your family healthier because of it.